The Westin Grande Sukhumvit, Bangkok takes pride in providing five star service right within the heart of Bangkok. This hotel also houses some great restaurants like Sesonal Tastes, Kisso, Zest Bar & Terrace, and the Horizons Sky Lounge. 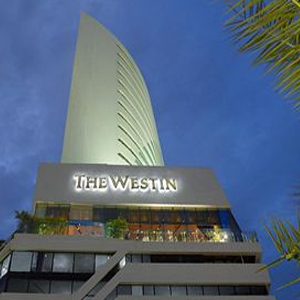 The Westin Grande Sukhumvit is a short walk (150 meters) from Asoke BTS Station.